If you’re reading this post from somewhere the seasons change and leaves turn red, you’re probably asking yourself “what the heck is a croqueta?” Don’t worry, I’ll get there. 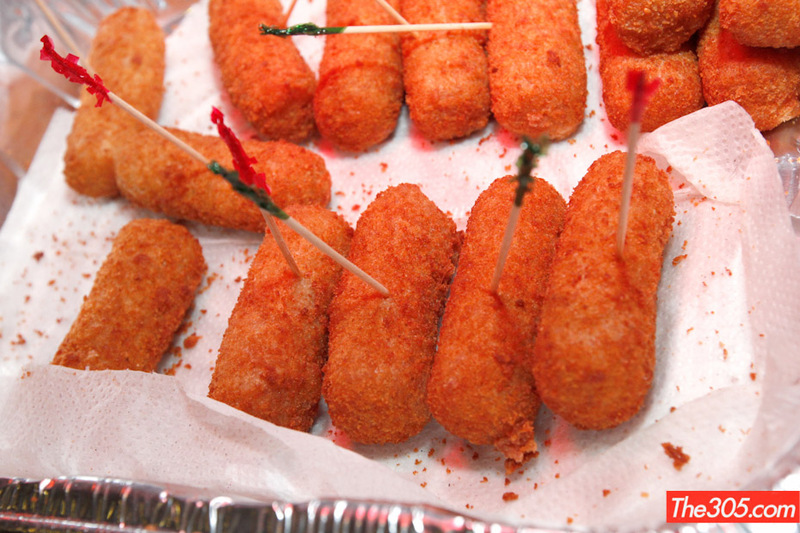 As a local Miami business, we are very familiar with croquetas. The Far Out Awards offices are surrounded with bakeries and grocery stores that dish out these delicious, deep-fried treats on the daily; croquetas are an integral part of Miami’s food culture. 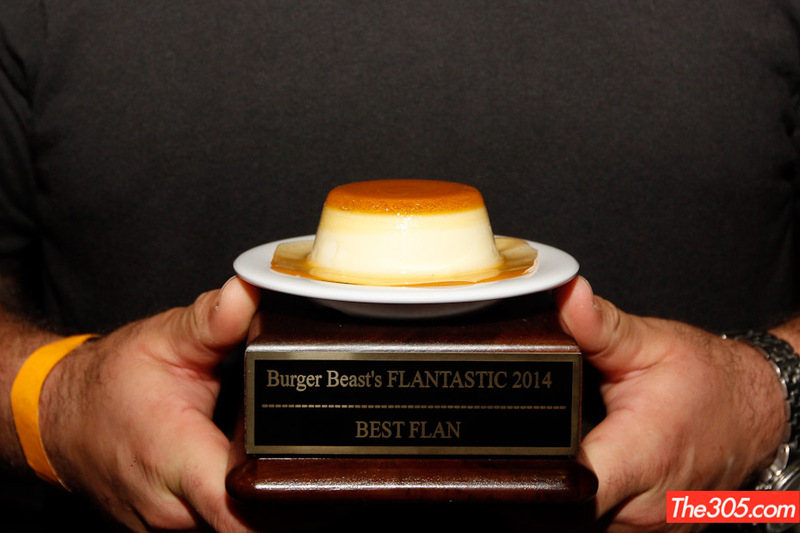 So when we were asked to make some custom Far Out Awards starring croquetas and flan for an event called “Croquetapalooza,” we were naturally stoked. Now for those of you who are not quite as familiar with Spanish and Cuban cuisine as a native Miamian, croquetas are small fried food rolls containing a variety of ingredients; they can be filled with chicken, fish, potato, cheese, but in Miami it’s usually all about the jamón (aka ham). Croquetas, for those of you who don’t already know. 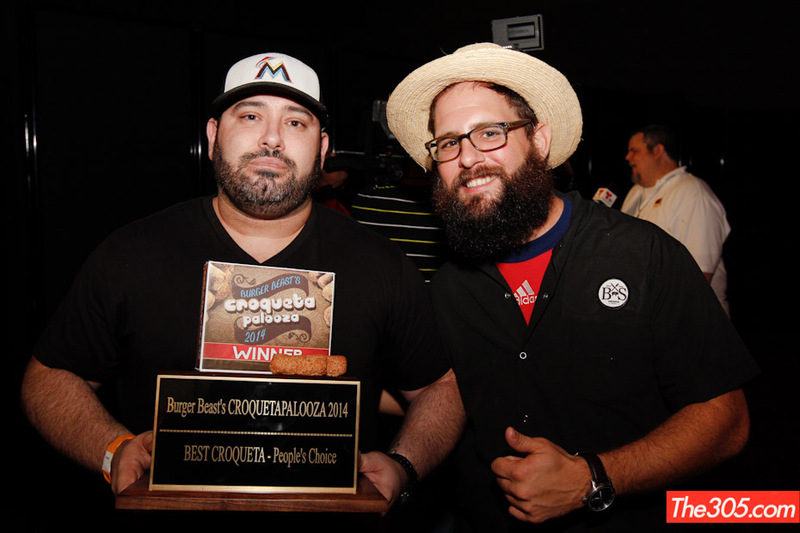 Croquetapalooza was thrown by Burger Beast, a famous South Florida food blogger with a keen taste for local comfort foods. 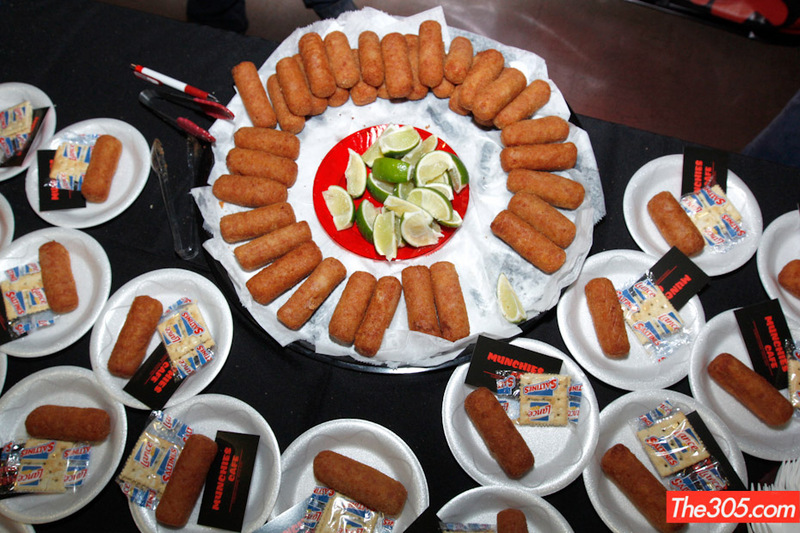 The event was held at the Magic City Casino, where over 10,000 croquetas and over 3,000 flans were served. According to Burger Beast’s write up of the event, 5 plant centerpieces were also stolen. If those stats don’t scream Miami, I don’t know what does. There were three events: a croqueta eating contest, best flan (chosen by judges Roger Borges, Todd Erickson & Hedy Goldsmith) and best croqueta in the land which was decided by the event’s 450+ participants. 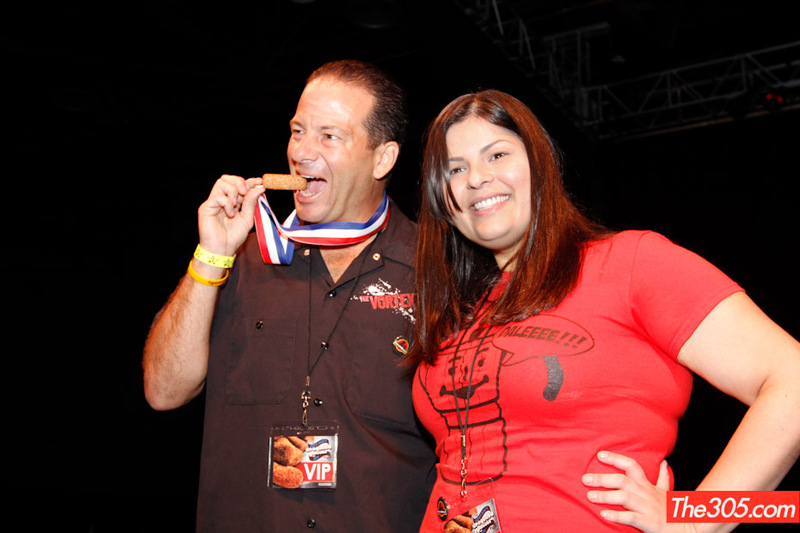 The winner of the croqueta eating contest was Miami Springs’ Mayor Zavier Garcia. The only croqueta Garcia didn’t eat was the croqueta medal Far Out Awards created for the event (though it looks like he may have tried). 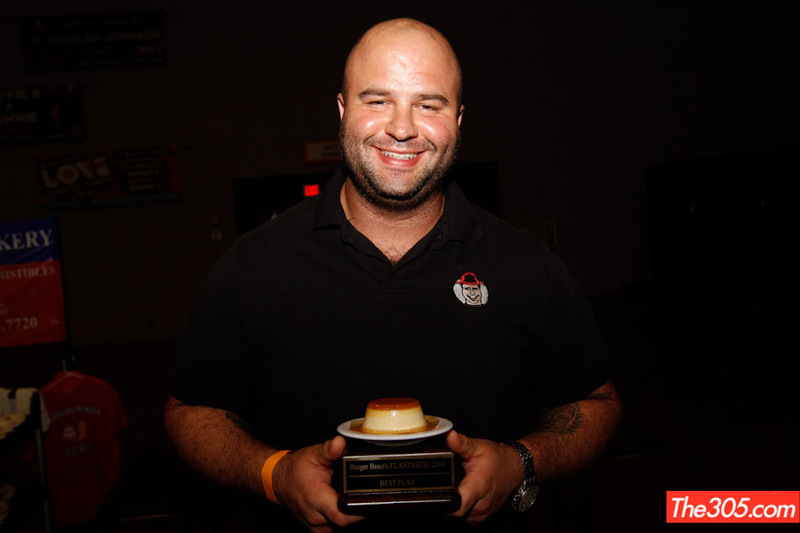 The winner of Best Flan was Fireman Derek’s Bakeshop, which as a sweets addict I’m ashamed to say I’ve never been to (don’t worry, that will change in the very near future). The esteemed prize of Best Croqueta in the land went to B&S Gastropub (reopening soon as Barley & Wich) who served up a Jamon Serrano & Manchego Croqueta. Congrats guys, I see a very busy grand opening in your future! Chef Jorgie Ramos of B&S Gastropub holding the Best Croqueta award, a huge feat! All pictures courtesy of The305’s Croquetapalooza coverage, see the whole post on The305.com right here. Looking for a custom trophy of your own? Contact us at 305-974-4198 or start by filling out the custom award inquiry form right here.